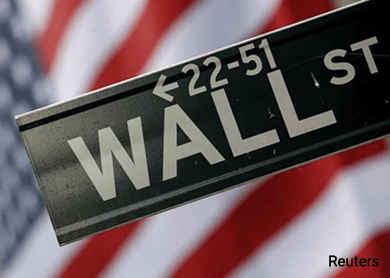 (July 31): Wall Street ended flat on Thursday as investors digested ho-hum corporate earnings and new data showed that the economy grew more quickly in the second quarter. Procter & Gamble, Facebook and Whole Foods Market all fell after quarterly reports that left investors wanting more. U.S. economic growth accelerated in the June quarter as solid consumer spending offset a drag from weak business spending on equipment, suggesting steady momentum that could bring the Federal Reserve closer to hiking interest rates this year. With a mixed bag of corporate earnings over halfway through second-quarter reporting season and a sharp focus on when the Fed will begin raising interest rates from near zero, investors on Thursday saw few reasons to pay more for shares. "We've been stuck in a 3-percent band since almost the beginning of the year," said Warren West, principal at Greentree Brokerage Services in Philadelphia. "There's nothing motivating investors to push it outside of that in either direction." The Dow Jones industrial average ended 0.03 percent weaker at 17,745.98, while the S&P 500 was unchanged at 2,108.63. The Nasdaq Composite added 0.33 percent to 5,128.79. Six of the 10 major S&P sectors were higher, with the utilities index leading gainers, up 0.72 percent, and the energy index the biggest decliner, down 0.65 percent. Thursday's GDP report lifted the dollar as some investors bet on a September, rather than December, rate hike. The dollar index rose 0.6 percent to 97.545 after touching its highest in a week. With 64 percent of S&P 500 companies having reported second-quarter results, analysts expect overall earnings to edge up 1 percent and revenue to decline 3.6 percent, according to Thomson Reuters data. Valuations remain a concern. The S&P 500 is trading near 16.8 times forward 12-month earnings, above the 10-year median of 14.7 times, according to StarMine data. "Earnings haven't been great," said John Canally, investment strategist at LPL Financial. "We are in a slow-growth environment and anything that knocks that down further is not a plus for the market." After the bell, Expedia jumped 8 percent and Amgen was 2 percent higher, both posting quarterly reports that pleased investors. LinkedIn's quarterly revenue beat expectations but its stock was down almost 2 percent after initially jumping around 10 percent. During Thursday's session, Skechers USA jumped 16 percent as the sports shoe maker and retailer reported a better-than-expected rise in quarterly revenue. Procter & Gamble fell 4.0 percent, Facebook dropped 1.8 percent and Whole Foods slumped 11.6 percent. Advancing issues outnumbered declining ones on the NYSE by 1.04 to 1. On the Nasdaq, that ratio was 1.10 to 1, favoring advancers. The S&P 500 saw 35 new 52-week highs and 7 new lows; the Nasdaq Composite recorded 70 new highs and 79 new lows. Some 6.4 billion shares changed hands on U.S. exchanges, below the daily average of 6.7 billion this month, according to BATS Global Markets.